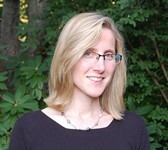 Johanna Tschebull manages communications and marketing for Dance/USA. She oversees the organization's online presence, markets and promotes Dance/USA programs and convenings, manages relationships with member organizations, the media, and the Dance/USA Board of Trustees. She joined the Dance/USA staff in 2013, bringing a wealth of communications and public relations experience across several industries. Johanna was the Public Relations Manager for Houston Ballet, a publicist for WGBH Boston, she worked in marketing for the publishing industry, and managed business to business communications campaigns for architecture and design clients. Johanna earned a BA from Oberlin College and is an enthusiastic supporter of the arts.